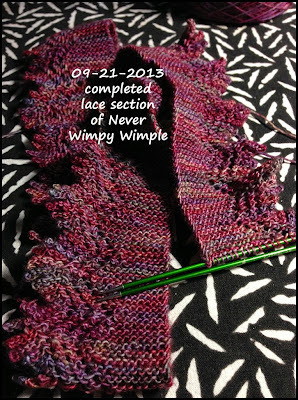 Catching up - thought you might enjoy photos of projects that I have completed and those I am currently working on. Had time when I was recuperating to complete two knitted items - the pink/green "Hope" Zephyr Cove Shawl and socks from yarn my sister Nadine sent me for my August birthday. Those will be pictured last. 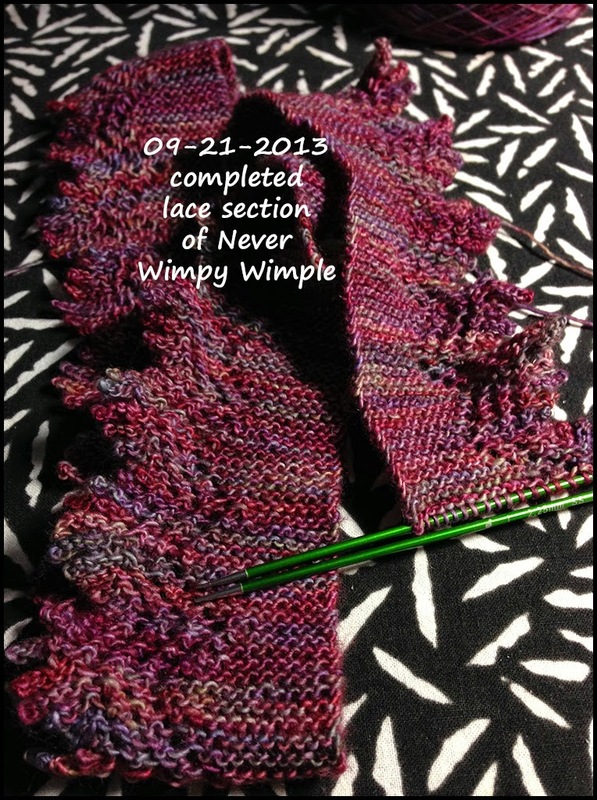 The current knitting projects are felted clogs (taking a four week Monday evening class, two sessions to go), the Never Wimpy Wimple cowl/hoodie - you can see the wimple as a hoodie in the background of the macro photo and the Honey Cowl. All photos are taken with my iPhone5. 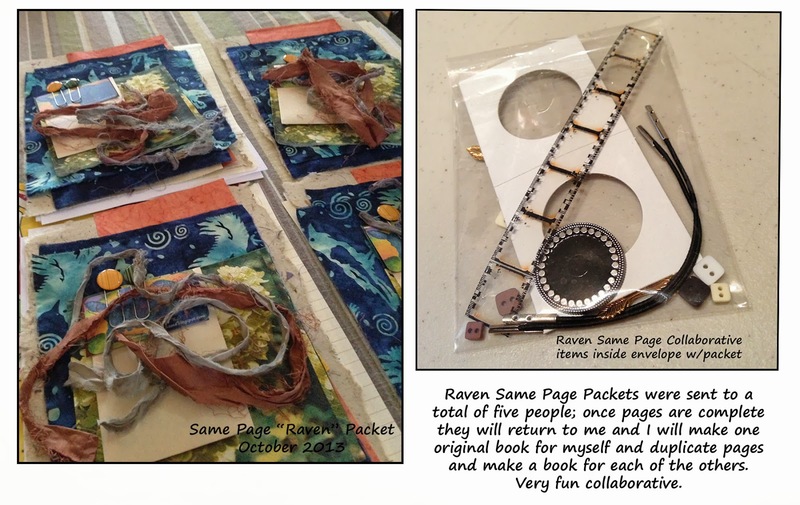 Two mixed media collaboratives are in the works; one is called "Same Page 'Raven'" and pages should return to me about the 15th of October - so, I will have time before Christmas to get books off to the participants. 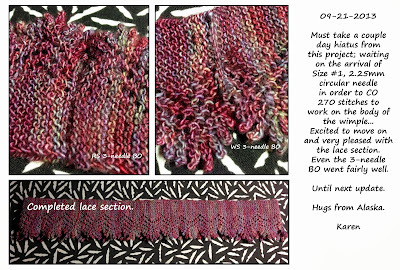 Our third Lacebook collaborative is happening soon - ATCs (precursor to the book) are due October 1 and our outside covers and page will begin the rounds on October 15th. Sox, our hostess, has already sent her ATC to us for inspiration, as shown. Her theme is Bronzino. 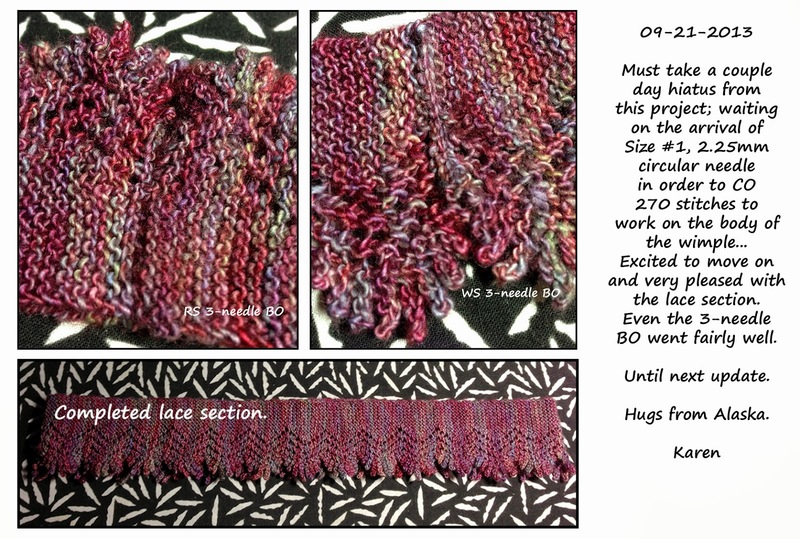 Just as soon as I get this book and page off to Teri in New York, I will sew the last one together (finally found the buttons I want to use) and get photos up - it is the John Waterhouse Lacebook. 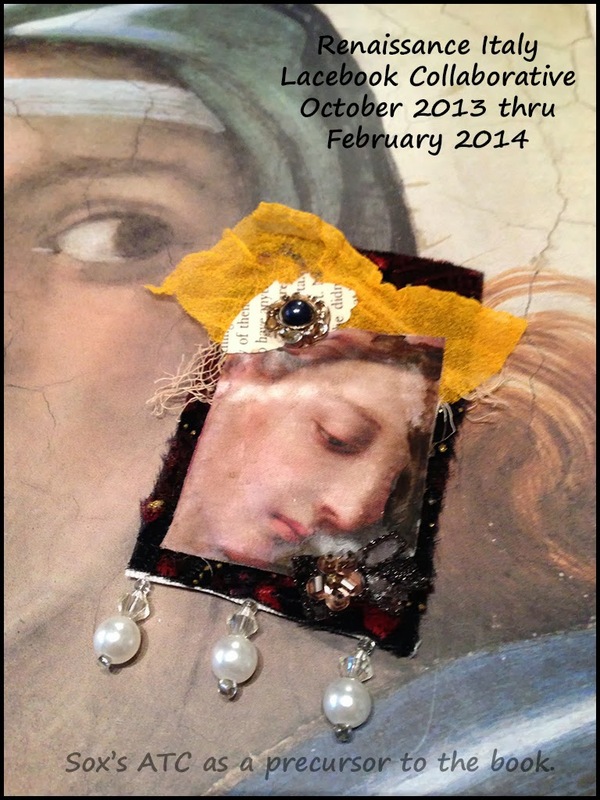 The Mary Lacebook has a link on the right sidebar, my first in this collaborative series. That's it right now, along with continuing to unpack and organizing my room and studio - downsizing big time! As a side note here - my theme is Michelangelo; other themes are Bronzino, DaVinci, Commedia de Arte, Gutenburg Printing Press, and the Four Elements. in-the-round for the cowl/hoodie portion. seeing how these turn out! Madelintosh Honey Cowl - will have a beautiful waffle weave. Love to see what you have been working on, Karen. 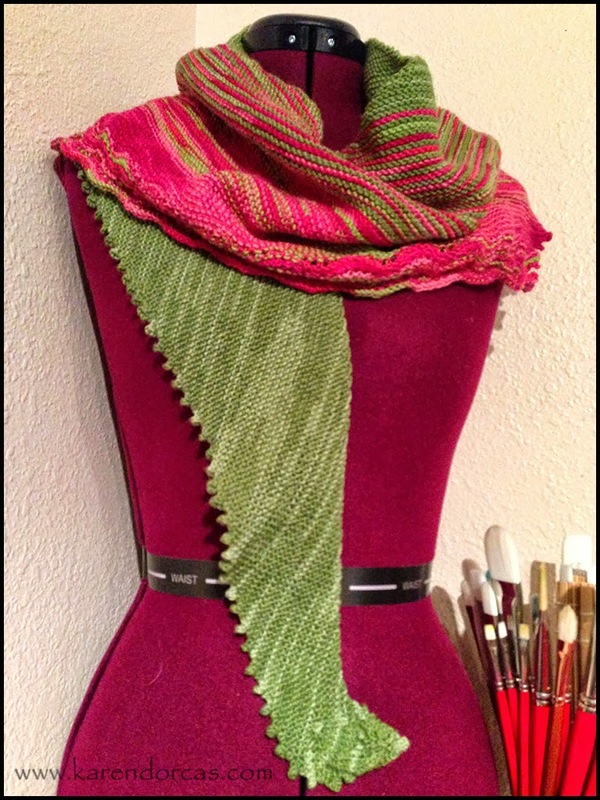 Beautiful yarns and products! Keep up the good work. 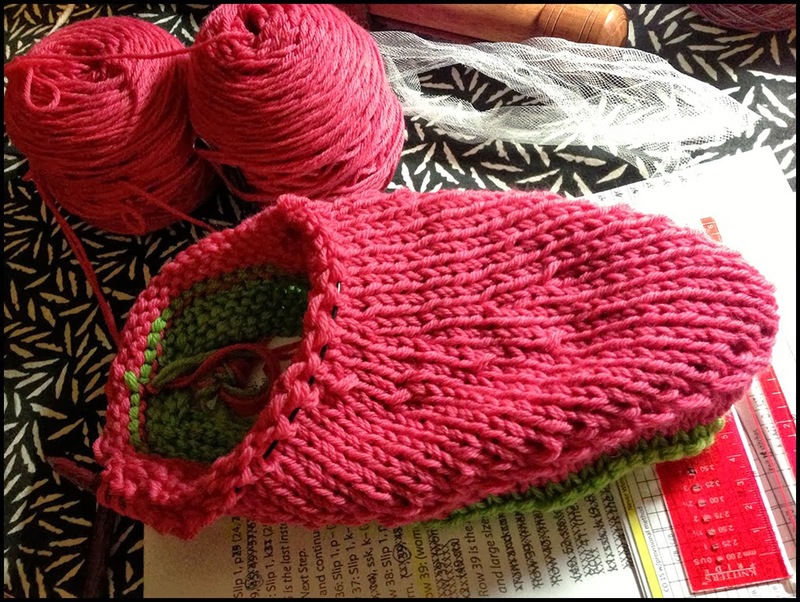 I look forward to seeing the felted clogs when they're done. Looks like someone is getting her creative muse out of the box!!!! I'm glad you are feeling better. It must be a great sense of accomplishment to be able to organize your new craft room! Every year around this time I think about making felted clogs, but I haven;t done it yet. Looking forward to seeing yours! Good Morning Karen, Your work is so very beautiful. 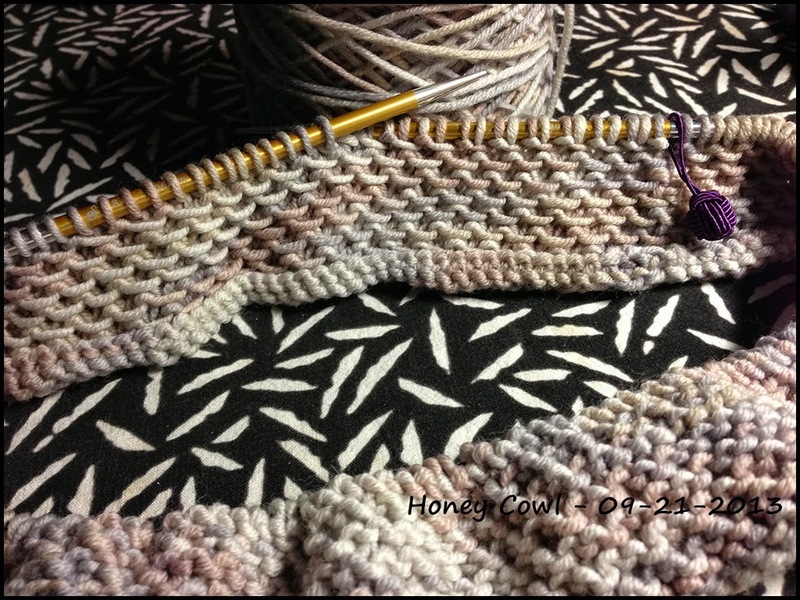 I really like the cowl you are knitting and the colours you have chosen are beautiful. I always love visiting you as you are so inspirational. I am so glad to hear you are feeling better. It looks like you have been very busy with all your gorgeous creations. Your Renaissance Italy Facebook collaborative sounds amazing. I will e-mail you soon, I realized too late we had lost our communications on the old Creative Workshops site. Karen I am so far behind on comments... I just drool every time I come over here for a visit! 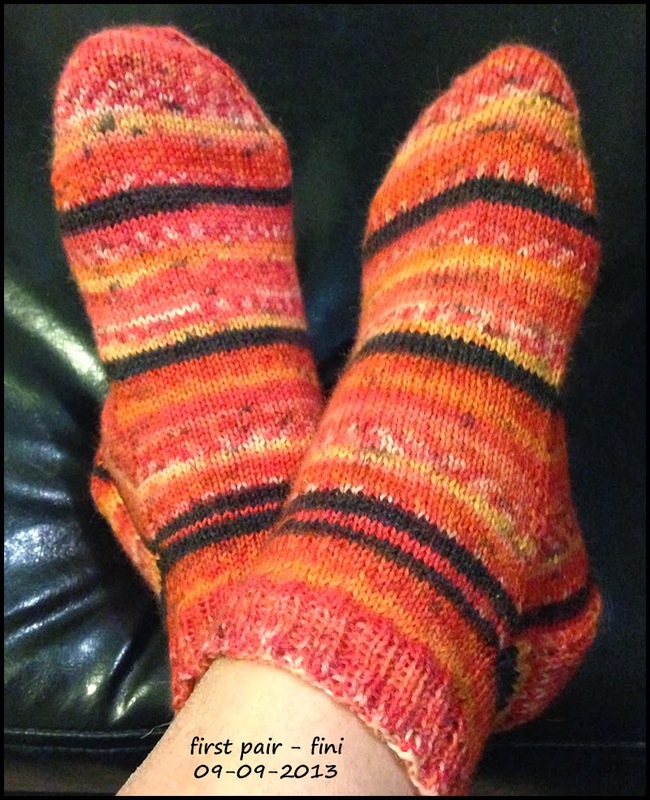 You are such a talented knitter... 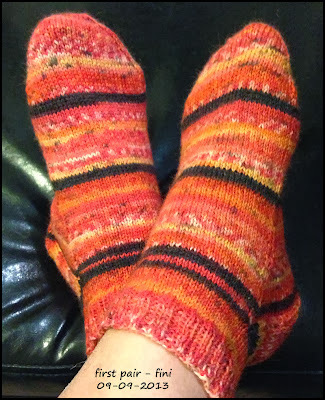 I fear I'm never going to really get the hand of knitting... I just can't seem to keep track of stitches, and well, trying to fix mistakes sometimes works and sometimes just ends in tears and ripppppping! Hugs and hope you are feeling better now!